As America plans to celebrate Veterans Day this Monday, Concerned Veterans for America, a nation-wide, non-profit veterans organization established to advocate for policies that will preserve the freedom, and prosperity that veterans and their families have so proudly fought and sacrificed to defend, checked in with us via email with a deeper look into the overwhelming challenges facing our Veterans in today’s political climate and poor economy. And what we saw does not paint a rosy picture. VA Backlog of Veterans Benefits: Our veterans return from war only to be greeted by utter dysfunction at the Department of Veterans Affairs. Roughly 500,000 veterans are stuck in a disability claims “backlog,” waiting almost a year for a response—and even longer for resolution. This is a national disgrace, and must be fixed. Throwing more money at the problem has not worked. Instead, VA needs serious reform—transforming a bloated bureaucracy into a modern and efficient organization focuses on service veterans rather than making them wait in line for benefits they’ve earned. 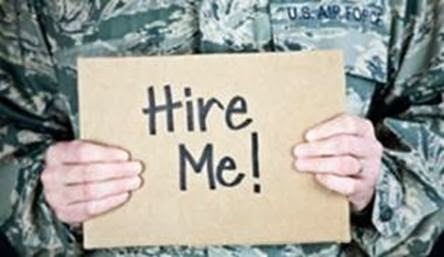 High Veteran Unemployment: The current unemployment rate for average American citizens is 7.2 percent, but Veterans that served post 9/11 the rate is a staggering 10.1 percent . Some 708,000 Veterans are looking for work which is up from 671,000 in August. Currently an estimated 900,000 of our brave men and women who served this country have had to turn Food Stamps to feed their families.